Opening doors, creating opportunities, and building leaders. 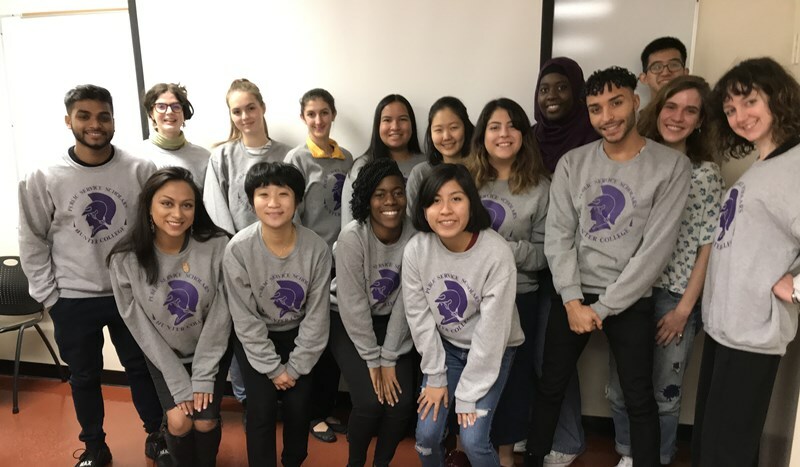 The Public Service Scholar Program (PSSP) seeks to improve our cities and the lives of people by preparing talented undergraduates for careers in the public and non-profit sectors. The program seeks to raise the representation of women, minority-group members and new immigrants in leadership positions. PSSP is a one-year internship and academic program, providing up to 20 students per year with 12 credits and a merit-based fellowship to assist with tuition and basic expenses. The program is open to Hunter College juniors and seniors in any academic major. Public Service Scholars (PSS) work 20 hours per week from September to May in non-profit and government agencies and elected official’s offices. During their placement, they contribute to solutions for a broad range of critical issues, including homelessness, supportive housing, workforce development, community and economic development, industry retention, hunger and poverty, early childhood education, environmental conservation, youth services, and women's issues. PSSP's environmental section places students in substantive internships at the New York State Department of Environmental Conservation (DEC). PSSP was started in 1982 by Dr. Donna E. Shalala, former President of Hunter College, who recognized a need to expand and diversify the city’s public service workforce. Dr. Shalala proposed to meet that need by recruiting into public service talented undergraduates who would benefit from a career advancement program. Since 1982, PSS have become familiar figures among the professionals who develop strategies to manage New York City’s most pressing problems. Over 700 scholars have contributed more than 500,000 hours of outstanding service to communities throughout New York City. The program has been run since 1986 by Dr. Elaine M. Walsh, Associate Professor of Urban Affairs and Planning.